Prism is a lightweight, robust, elegant syntax highlighting library. It's a spin-off project from Dabblet. You can learn more on http://prismjs.com/. Read the documentation. Prism was designed to be extensible. Do not edit prism.js, it’s just the version of Prism used by the Prism website and is built automatically. Limit your changes to the unminified files in the components/ folder. The minified files are also generated automatically. The build system uses gulp to minify the files and build prism.js. Having gulp installed, you just need to run the command gulp. Please follow the code conventions used in the files already. 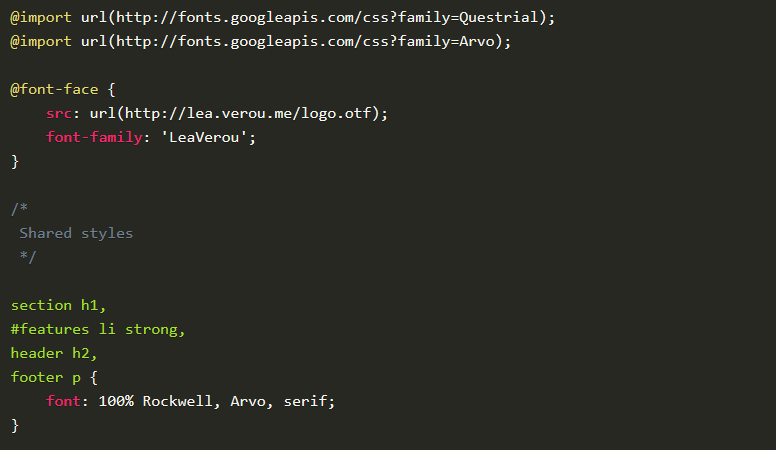 For example, I use tabs for indentation and spaces for alignment. Opening braces are on the same line, closing braces on their own line regardless of construct. There is a space before the opening brace. etc etc. Please try to err towards more smaller PRs rather than few huge PRs. If a PR includes changes I want to merge and changes I don't, handling it becomes difficult. My time is very limited these days, so it might take a long time to review longer PRs (short ones are usually merged very quickly), especially those modifying the Prism Core. This doesn't mean your PR is rejected. If you contribute a new language definition, you will be responsible for handling bug reports about that language definition. If you add a new language definition, theme or plugin, you need to add it to components.js as well, so that it becomes available to the download build page. Thank you so much for contributing! !